Have you ever been in a situation which looked like a paradox and all your reasoning power failed? We all face situations in life where we don’t understand which way to chose or which path to follow. In such cases we rely on our intuitive powers and abilities. However, many a times the excessive emotional baggage that we carry often clouds our reason and makes us indecisive. In such situations a stone named sodalite can help you to decide the best option. 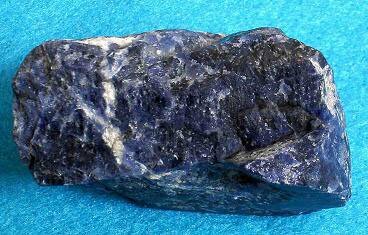 Sodalite is a stone which is chemically the silicate of sodium and aluminum making it a type of mica. Its name is derived from the sodium aspect of its make up. The structure of this stone is isometric made out of rhombic dodecahedra. This stone does not form crystals most of the times and can be found blue gray or white granular habits. Sodalite helps in gaining insights into life situations and banishes paradoxical dilemmas. This stone helps in enhancing mental powers and intuitive ability of an individual. It enhances the qualities of creativity, analysis, intuition and observation. It also promotes self discipline, efficiency, organization. It’s a great enhancer of research abilities and works well for people in the field of writing, business, teaching, psychology and philosophy. Sodalite helps people to understand and get acquainted with themselves. We are often so involved in the world that we never really understand our true selves or our abilities. Sodalite helps us dispassionately assess our strengths, weaknesses, motivating factors and even our destiny. It’s an ideal companion for deep meditative or shamanic journeys and helps in remembering the scenes and the symbols seen during these periods. It’s also known to enhance psychic vision. Sodalite can help you to get acquainted with both the psychic and the physical world and make you understand the higher purpose of the events in your life. Sodalite also helps you understanding the true nature of your destiny and can work as a light house in the journey of your life. The best part about this stone is that it helps you to acquire great abilities and yet not become too haughty or vain. Sodalite works well in the realm of physical healing too. It helps in stress reduction and even helps in blood pressure regulation, controlling water retention and even helps in enhancing the hydration of the cells. The ancients have used this stone to treat issues relating to gland metabolization and digestive tract problems. It purifies your blood and body and also helps in curing insomnia. It also helps in healing calcium deficiency and problems associated with it. Sodalite belongs to the Sagittarius zodiac and resonates to the number 4. The planet associated with this stone is Venus. Sodalite also helps to eliminate electromagnetic pollution and hence is placed on the computers by many people. This stone acts on the chakra of the throat and the third eye. Hence if you don’t want to be affected by every day worries and problems or know about the sacred laws of the universe, then sodalite is your stone.